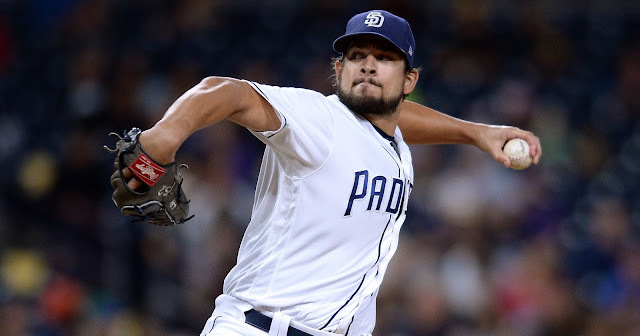 Despite electing to pass on big-ticket free agent Bryce Harper over the Winter, the Yankees will still enter the 2019 season with one of the better all-around outfields in Major League Baseball. 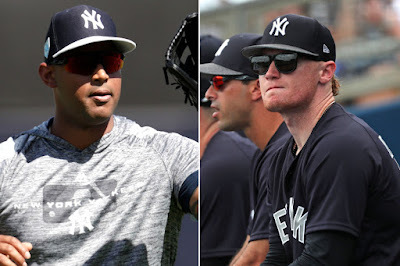 Aaron Hicks’ lingering back issue puts a dent in the outfield depth heading into Opening Day, but assuming he can recover quickly and return to play in April, the Yankees’ boast an outfield trio that provides both strong defense as well as considerable pop. Add in Giancarlo Stanton who will see time in both right and left fields over the course of the season, and the Yankees are not short on superstar OF talent. Veteran Brett Gardner was brought back on a one-year, $7.5 million deal in the offseason and should resume every day reps in left field, a position he has held for the better part of the last five seasons. While Gardner will see some time in center field on the occasion – and for sure in the early going with Hicks starting the season on the Injured List – his primary duties will be to maintain his Gold Glover caliber defense in left, as well as round out the bottom of the New York batting order. Gardner has shown this Spring that he still has a lot of power left in his bat, and his left-handed swing will provide some balance to a right-handed heavy New York lineup. To start the season, recently acquired Mike Tauchman will be the backup corner outfielder. Tauchman, too, offers a left-handed bat with some power, as he hit to a .323/.408/.571 slash line with 20 home runs in the Pacific Coast League last season. However, his Major League batting line has thus far not matched his AAA prowess, as Tauchman accounted for a -0.5 WAR in 2018, hitting a brutal .094 over 32 at-bats with the Rockies. The Yankees will carry Tauchman over Tyler Wade with Hicks on the shelf, as they’ll opt for the more polished outfielder. Expect Wade to be recalled, however, once Hicks is back, as he provides significantly more versatility off the bench. Jacoby Ellsbury (once healthy) and Clint Frazier (recently optioned to AAA Scranton/Wilkes-Barre) are also expected to see some time in left field later in the year. Although his season will begin on the Injured List with chronic back pain, Aaron Hicks is the unquestioned and unopposed center fielder on this roster. Hicks is coming off a career year in 2018 and was rewarded for it with a seven-year, $70 million extension last month. Hicks put up career highs in games played (137) home runs (27) and RBIs (79) in 2018 and his WAR of 4.7 was the second-best rate among AL center fielders, trailing only the prodigious Mike Trout. The lingering back injury is of course a concern, though, as he is seemingly delayed further and further with each passing week. Best case scenario for the Yankees is Hicks can resume conditioning this week and return sometime in the second week of April, but should he be delayed any further, it would be a big hit to the New York lineup that is counting on Hicks for stellar defense as well as consistency atop the batting order. With limited options on the 40-man roster, should Hicks be forced to miss significant time, the Yankees will likely slide Gardner over to center which might force Giancarlo Stanton into the field on a more regular basis and free up the DH spot. Coming off a phenomenal Spring Training in which he’s hit .324/.444/.973 with six home runs and 15 RBIs, Judge will look to build upon a stellar start to his career. 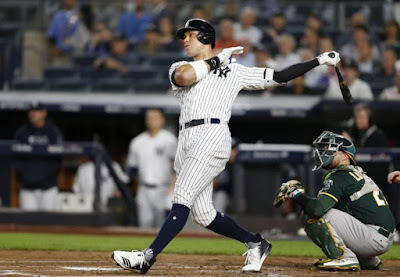 Even with the time he missed last season due to a chip fracture in his right wrist, Judge still managed to blast 27 home runs and drive in 67 runs. 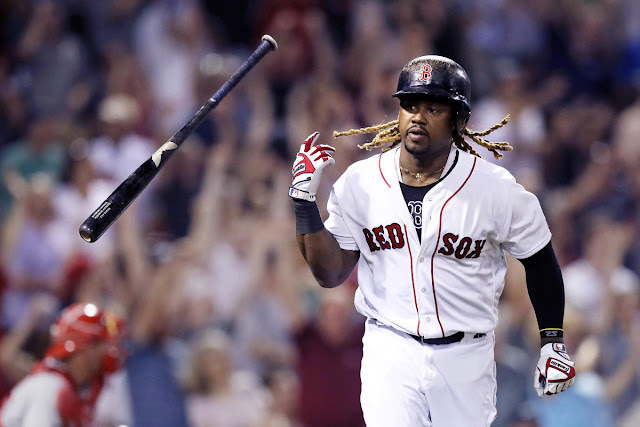 He’ll look to recapture the magic of his rookie season in which he finished runner-up for the American League Most Valuable Player award after hitting 52 home runs and driving in 114 runs. Assuming a freak injury like the one he suffered last year won’t hamper him at all in 2019, the Yankees should bank on Judge to once again put up MVP-caliber numbers offensively in addition to his strong defensive abilities in right. As was the case last year, Stanton should occasionally spell Judge in right when Boone decides to give #99 a half day off as the DH. The Hicks back issue is of course the biggest concern out of this group heading into the season, but at full strength, the quartet of Judge-Stanton-Hicks-Gardner is one of the best in the bigs. The Yankees still expect big things out of Clint Frazier as well, so look for him to be recalled after a few weeks of consistent at-bats in AAA. Judge’s injury in 2018 coupled with Frazier’s concussion and the trades Dustin Fowler, Jake Cave & Billy McKinney forced the Yankees to endure five weeks of Shane Robinson. That should not be the case this season, and the Yankees will have enough veterans on the roster (or waiting in the minors) to survive any injury to this group.